Double glazed or triple glazed windows will improve your home security, energy efficiency while adding style to your Peterborough home. At Posh homes, we will measure each individual window using one of our in-house surveyors, ensuring that every double glazed window is made-to-measure, warranting the correct designed double glazed window which will best reflect your property and personal taste. When our sales representative arrives at your home to discuss your double glazed windows, you will have three essential steps to contemplate. 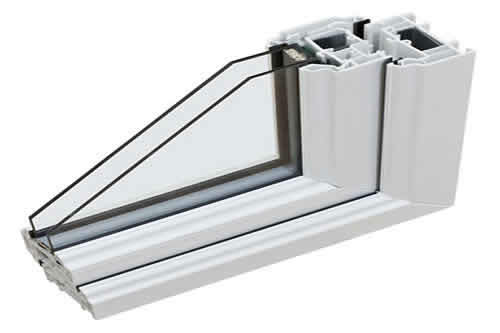 These double glazed windows frames are designed from a range of high quality materials. Our Liniar profiles are manufactured unique formations which prevent warping, splitting or discolouring. This is why we offer a 10 year guarantee from the date of installation. We can also cater for every style double glazed window frames, with a huge variety of colours and finishes, which will match any of your homes decor. You will now require to choose which glazing you require, whether you require double glazing or triple glazing for your home. The final step will be to discuss which decorative finishes you require to ensure your double glazing or triple glazing will be perfect to your home, we will help you to the final last detail.